Nice price for a 6 way surge protected extension lead. Pick up at store to get this price. In store as well, I bought one yesterday. 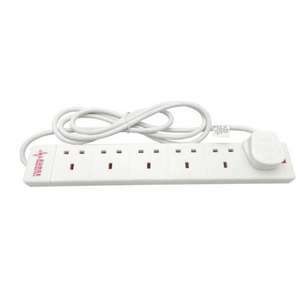 High quality impact resistant white body with 6 mains power outlet sockets and 2 metres of cable. They also do an 8 way individual switched + surge for £10.